Kyiv is set to mark the 25th anniversary of Ukraine's Independence with a large-scale parade on capital's main thoroughfare, Khreshchatyk Street, which will feature some 200 pieces of military equipment, according to Ukraine's presidential adviser Yuri Biryukov, Ukraine Today reported Sunday. "The parade will showcase a lot of equipment, 200 units. Ukraine did not hold such a massive parade for a long time. Nor did it showcase military equipment like this. Unfortunately, no aircraft will be paraded because now it is really dangerous for low-flying planes," Biryukov announced, according to Ukraine Today. Demobilized soldiers, who fought in the conflict zone in eastern Ukraine, will also participate in the parade, Biryukov said. Read alsoUkroboronprom supplies over 1,000 pieces of weapons, equipment to Ukrainian army"We came up with many ideas, mostly together with the demobilized soldiers. We will pay tribute to those who have served for the country [in the army]. However, I am not yet ready to say how it will exactly happen," said the presidential adviser. Biryukov did not say how much money will be spent on organizing the parade in Kyiv. "It is the Cabinet of Ministers that is responsible for the issue," said Biryukov. 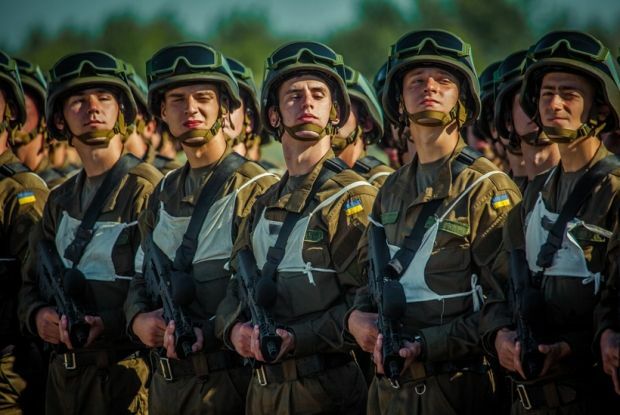 Read alsoRada approves amnesty for ATO fighters in 2016On July 22, Ukraine's President Petro Poroshenko signed a decree on holding a military parade to celebrate the 25th anniversary of Ukraine's Independence Day. Ukraine's Defence Minister Stepan Poltorak is entrusted with preparing and running the event.